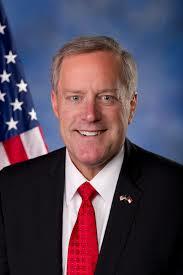 Rep. Mark Meadows, king of government shutdowns in the NC-11, is the target of a requested government ethics investigation because of his toleration of a woman-pawwing chief of staff and because of eventual excessive severance payments to that chief of staff when he left Meadows' employment and moved his woman-pawwing back to Hayesville. The American Democracy Legal Fund made its request for investigation to the Office of Congressional Ethics, and -- proving that he is in fact a rocket scientist -- Meadows issued a statement saying the charge is "politically motivated." Wonder what Meadows said when a conservative group previously questioned the severance pay and vacation pay that the woman-pawwing chief of staff scarfed up after he left the job in May. He was paid through August for doing nothing. Asheville Citizen-Times: "Politico reported the severance pay violated House rules on compensation .... Rules say congressional staffers can only be paid for work done during the month of a payment, but also outline procedures for one-time payments to staffers like bonuses for special accomplishments." Hmmm. "Special accomplishments." Is there a loving cup given out for sexual harassment?